A few weeks ago Dylan Hales made a tweet about now All Elite Wrestling saying they have the chance to change the world of wrestling as much as the WWF did in 1984/1985. I could not find the the tweet, but I did get a comment from Dylan Hales. I was 12 years old when the WWE aired "The Brawl to End It All" on MTV. Growing up in the suburbs of Philadelphia I knew kids who were WWE fans before the Hogan era. I also saw new kids become wrestling fans as the expansion happened. I was a kid who started watching wrestling on Saturday morning when it was on Channel 29. I remember MTV, Cindy Lauper, and Mr. T having a big impact on new fans. I paid attention to the WWF because I was a huge fan of the A-Team, Mister T, I even go back to America's Toughest Bouncer. I stayed up late to see Mr. T and Hogan on Saturday Night Live. I really think Wrestlemania and the WWF expansion would have not been successful without MTV, Cindy Lauper, and Mr. T. New fans all over the country were needed for the WWF to sell themselves. The emergence cable television was a huge paradigm shift like the paradigm shift Dylan Hales is seeing now. The Young Bucks and Cody Rhodes using YouTube to build All In is part of the current paradigm shift. There is an idea that the Young Bucks are the masters of new/social media and have used it to make good money without going to the WWE. These things make me ask, who are the Mr. T and Cindy Lauper from the current media world that could be brought into All Elite to bring eyeballs along. Could you have one of the Paul Brothers work a story line? Could Jenna Marbles manage your woman's champion? Could John Green or Hank Green be in a back stage segment? Is there a twitch star who could be a guest announcer? Could a Ryan's Family Review video be about going around Disneyland with the Young Bucks? Maybe I'm being too literal when it comes to how social media will draw new fans to wrestling. Maybe I'm stuck in an old way of seeing the world. When I've seen the paradigm of wrestling shift in the past, (Note to Dylan: I also think Monday Night War was a paradigm shift) wrestling promotions have drawn new fans to watch. 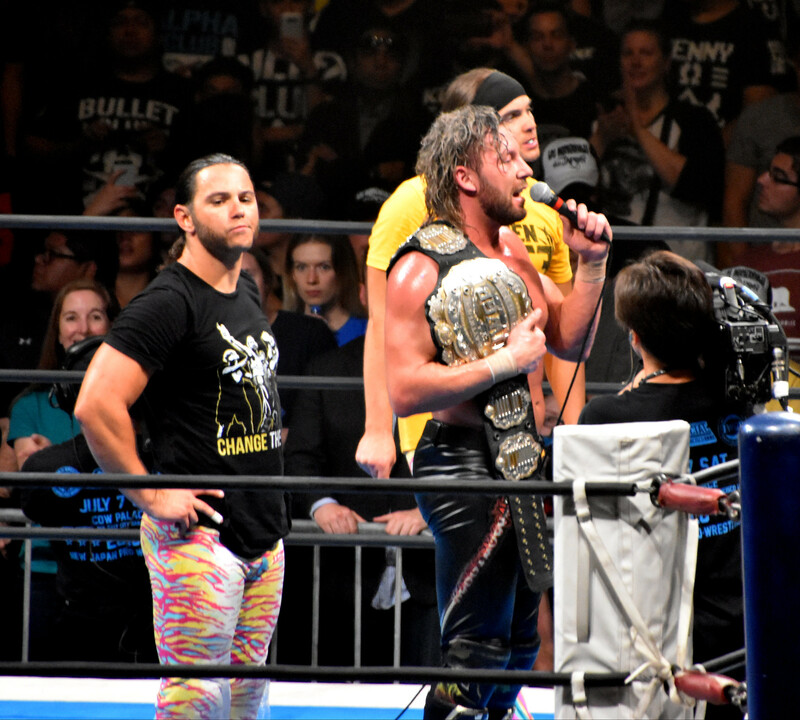 It is clear that All Elite Wresting has plans to give wrestling fans something fans feel they have not been getting. I get the feeling the wrestling fans who want to see All Elite be successful are not the type who get excited by celebrity involvement in pro wrestling. The kind of people who think it screws with suspension of disbelieve or disrespects them as the audience. I do not think AEW wrestling needs to bring new fans to wrestling to be successful, they do need to bring new fans to wrestling to shift the paradigm.